Ehnother Podcast presents This Week in Sports Episode 18! This week Keith and I sit down and talk the AFC West. How has the off season gone for the Broncos, Chiefs, Chargers and Raiders? Do we think they have improved or fallen behind. Plus of course the weekly news, all on the NFL Talk segment. Then I rant about the B.S. behind Crosby winning the Conn Smythe Trophy and new Stanley Cup Champions. The MLB season is approaching the mid-way point. Finally, WWE Money in the Bank is this Sunday and I have my thoughts and predictions here for you. 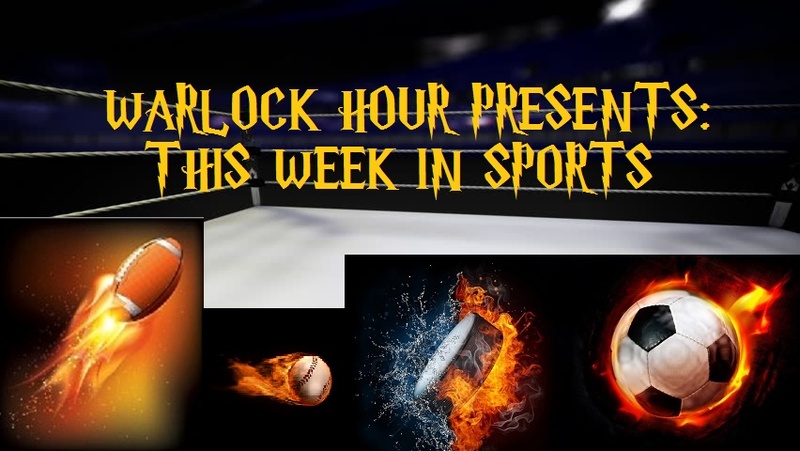 This entry was posted in This Week in Sports, Warlock Wednesdays and tagged A.J. Styles, AFC West, Anyone But Del Rio, Apollo Crews, Baltimore Ravens, Barclay's Premiere League, Baron Corbin, baseball, Becky Lynch, Ben Roethlisberger, Big Ben, Brandon Marshall, Breshad Perriman, Colin Cassidy, Conn Smythe Trophy, Crybaby Crosby, Dallas Cowboys, Darren McFadden, Dean Ambrose, Denver Broncos, Enzo & Cass, Enzo Amore, Eugene Munroe, Finn Balor, Fletcher Cox, Football, hockey, Joey Bosa, John Cena, Kansas City Chiefs, Karl Anderson, Keith, Kevin Owens, Kris Letang, Luke Gallows, Matt Murray, MLB, Mo Wilkerson, Money in the Bank, Money in the Bank PPV, Natalya, New York Jets, NFL, NFL Talk, NHL, NHL 3 Stars of the Week, NHL Awards, NHL Draft, NHL Playoffs, NHL Stanley Cup, Oakland Raiders, Phil Kessel, Philadelphia Eagles, Pittsburgh Penguins, Pittsburgh Steelers, Rayzor, Roman Reigns, Rusev, San Diego Chargers, Seth Rollins, Sheamus, soccer, sports, statistics, Sydney Crosby, The Club, Titus O'Niel, Warlock Hour, WWE, WWE Money in the Bank, WWE Pay-Per View, WWE PPV. Bookmark the permalink.